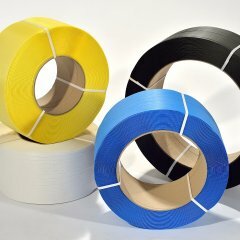 TEWE® Special Band is high quality polypropylene strapping exhibiting high or extremely high elongation (TEWE® HE and TEWE® SHE). 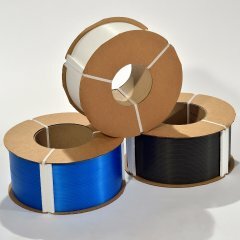 This type of strapping is particularly suited for small packaging units or applications with shrinking package volumes and sharp edges. 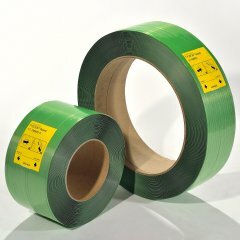 TEWE® LCE is polypropylene strapping featuring low elongation and used primarily where goods are compression-packaged. 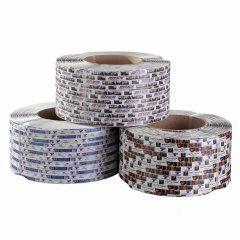 TEWE® UV strapping is treated with special additives which ensure longer UV stability for polypropylene strapping. TEWE® TAPE Protector provides perfect edge protection for the corrugated board industry. TEWE® special band comes in the following versions.